Derby County have signed exciting 20-year-old talent Michael Jacobs from Northampton Town. The winger signed for the Rams following interest from a host of Championship clubs, as well as Premier League outfit Newcastle United. Jacobs signed a three-year deal with Derby as they look to challenge for the play-offs and put themselves back into the Premier League this season. Todays Sun Newspaper claims Derby ‘pulled off a £450,000 swoop’ for the youngster but in fact Jacobs was out of contract at the midlands club. However, because he is under the age of 24, Derby must pay a suitable compensation package for Northampton Town, details of which are undisclosed. Jacobs was part of the Northampton team that beat Liverpool in the third round of the 2010/2011 Carling Cup, getting on the scoresheet at Anfield. 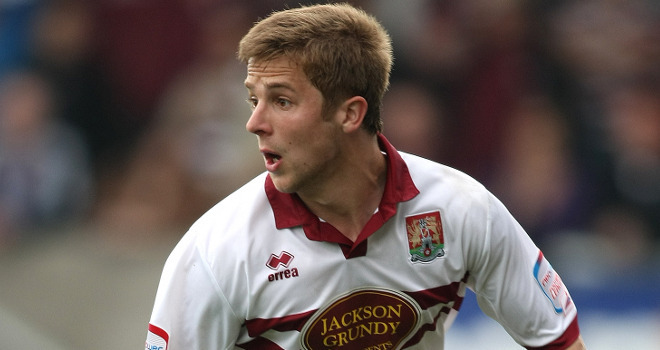 In total, the winger made a century of appearances for Northampton whilst racking up 15 goals. Derby County manager Nigel Clough told the club’s official website: “We’re delighted to secure Michael’s signature as he’s a player we identified some time ago as someone who would be a very good addition to our squad, and over the last two years he’s been one of the best players in the lower leagues. “He’s a young lad, but already he has plenty of first-team experience at Northampton behind him and we feel he has plenty of potential, which we believe he can fulfil it in a Derby County shirt. “Michael fits in well with the sort of player we’re looking to bring into the club and we’re delighted he has chosen Derby County after hearing what we’ve had to say and having a look around the club.